Cilantro or Coriander leaves may have a love hate relation with people in the west but in the east, esp India, its the most favorite herb used. Almost every curry is garnished with cilantro. 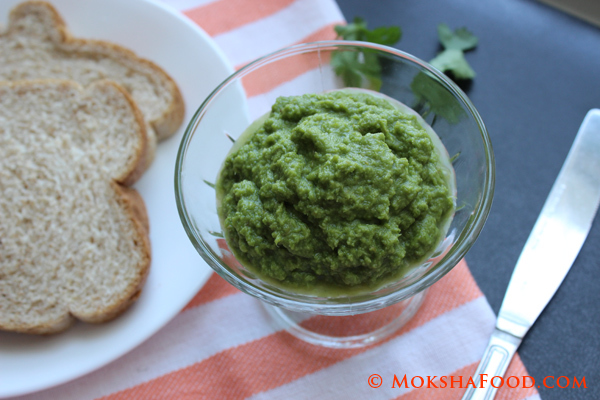 We use it to make chutneys or dips, green masala or spice paste to flavor meats, fish and vegetables. 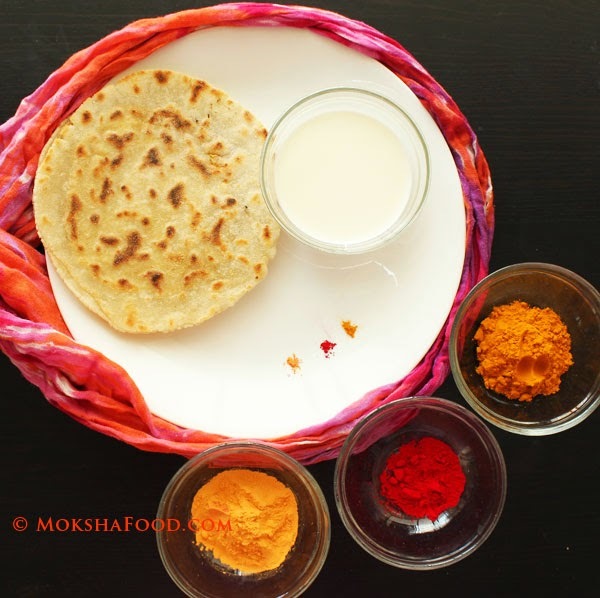 People from Bengal, even make fritters with it. Its a ubiquitous herb used all over India in various ways. 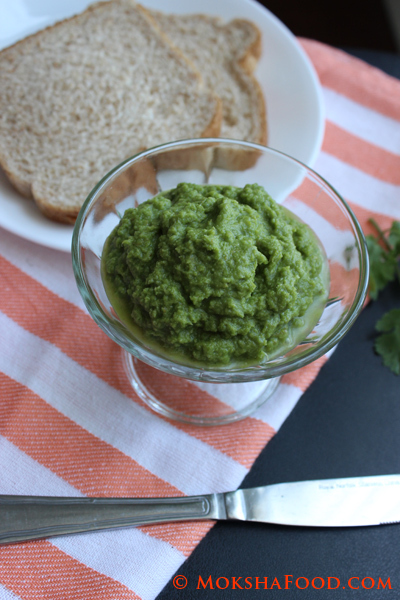 This is my favorite chutney recipe- cilantro coconut chutney. 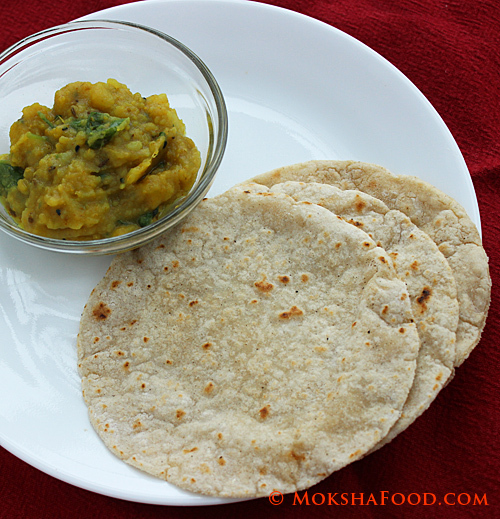 I use it as a spread on breads, chapatis. As a dip with idlis, dosas or fritters . It's pretty versatile and pairs up with everything. 1 bunch of cilantro- tender stems and leaves used. Clean the bunch of cilantro and remove the roots and blackened leaves, if any. Wash the cilantro very well to get rid of the mud. In a blender, add the cilantro, green chilli, garlic, coconut, tamarind, salt and sugar. Add little water to help you grind it all to a fine paste. Taste to balance the flavors of the tangy - spicy chutney. Serve as a condiment with your favorite snacks or spread on your choice of bread. Cilantro Chicken with Carrot Rice! Alu Poshto/ Potatoes in Poppy seed sauce! Modaks / Gluten Free Sweet Dumplings! Roasted Beetroot and Garlic Dip! 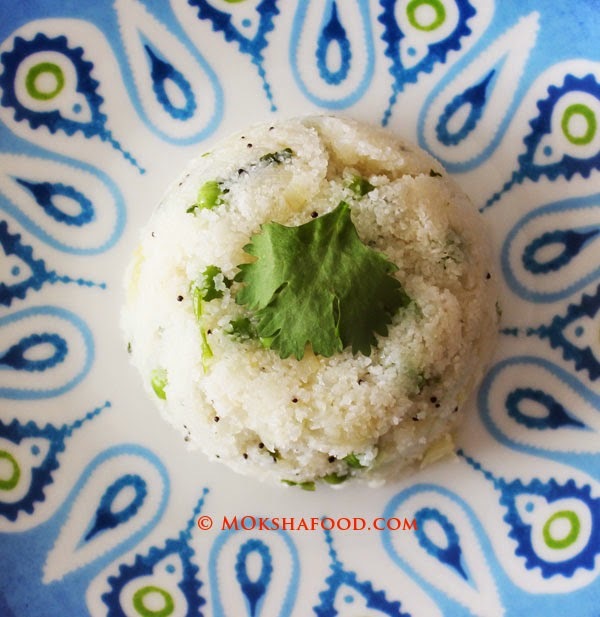 Sabudana kitchdi / GF Tapioca Sago Breakfast!